This weekend, the FIA European Formula 3 Championship will make its debut at the 4.226-kilometre Misano World Circuit Marco Simoncelli. Although it’s the first race meeting of the series at Misano, the F3 young guns already were offered the opportunity to prepare for the meeting at the seaside resort: on two days of the pre-season tests. In the tests held in early April, Jüri Vips (Motopark) and Daniel Ticktum (Motopark) set the fastest lap times. 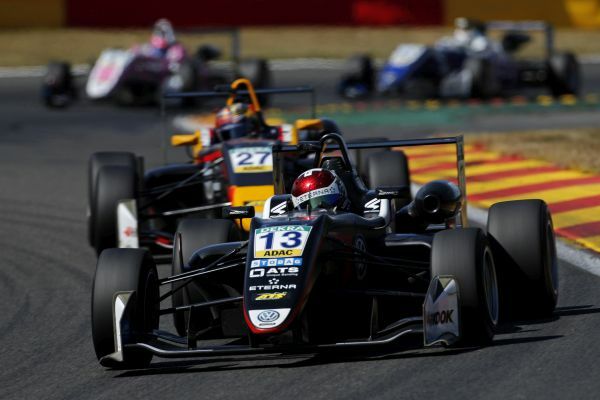 The Briton currently also holds the FIA Formula 3 European Championship lead while the Estonian worked his way up third, on the Silverstone weekend. The position between the two Motopark drivers currently is held by New Zealand’s Marcus Armstrong (PREMA Theodore Racing) who resides in Italy. Jüri Vips’ Silverstone weekend that was contested just one weekend prior to the Misano meeting was eventful. By finishing fourth, second and first the 17-year old rookie leaped from seventh to third place in the drivers’ championship. Despite of having also won a race, his team-mate Daniel Ticktum scored 18 points less than Vips but extended his championship lead, nevertheless. With 18 racers contested, the 19-year old has got 190 points on his tally, 18 more than Marcus Armstrong in second position. Another driver who impressed in the Misano tests in April was Spain’s Alex Palou (Hitech Bullfrog GP). In the tests in April, the 21-year old from Barcelona finished second on the time sheets on both days but still is waiting for his first FIA Formula 3 European Championship race win. The same applies – regarding the 2018 season – to Ferdinand Habsburg (Carlin) who celebrated a race win last year at Spa-Francorchamps. The 21-year old Austrian finished third on the second day of testing at Misano. Due to the DTM night races at Misano, the FIA F3 European Championship schedule had to be altered. Race one will be held on Saturday at 15:25hrs CEST, the second and third races on Sunday at 14:50 and 18:50hrs CEST respectively. Fabio Scherer (Motopark): “Misano is a special circuit. You can run over the curbs as they are rather flat – and the corner combinations are flowing. I like to race there and even more so as you can race with the bit between your teeth and be fast, nevertheless. Furthermore, Misano is a great location that makes for a holiday atmosphere. I think that the race weekend will also be attended by a lot of Swiss and it goes without saying that I’m looking forward to them. It’s my goal to tie in with my performances of the previous weeks and make it to the podium.